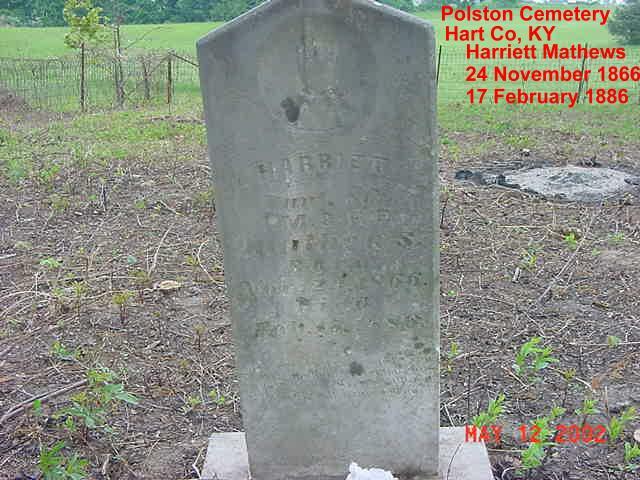 The Polston Family Cemetery is located off Highway 88, seven miles west of Munfordville, Hart County, Kentucky, in the area known as the Kessinger Community. 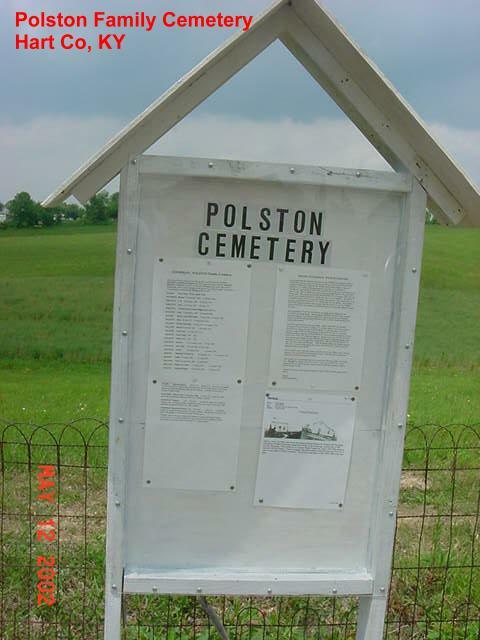 From Hwy 88, turn at the POLSTON FAMILY CEMETERY sign and go about one-fourth mile back across rolling farmland to the cemetery that lies on a hill. 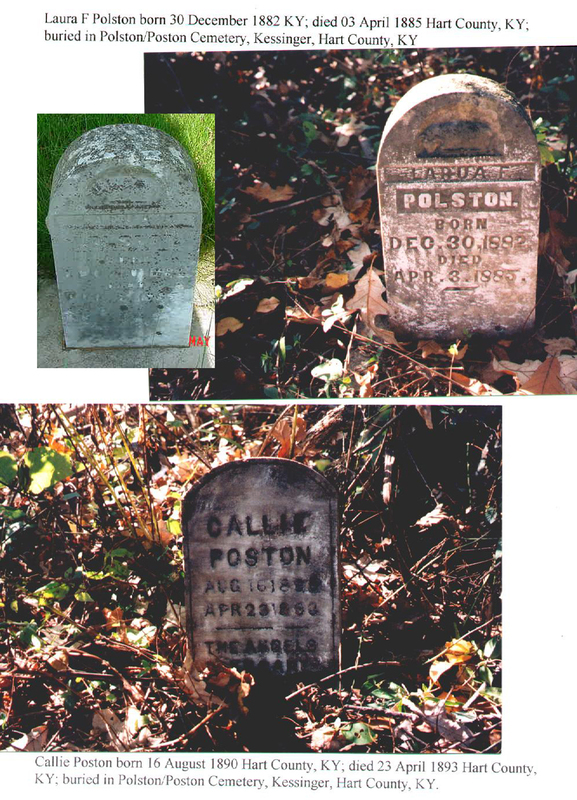 The Polston Family Cemetery was established about 1850 and is located on what was once known as the Old Stephen Goodman Farm in the 1800s and early 1900s; but known as the Isaac Martin Presley Farm in 1930-1971. Stephen Goodman (1777-1850) was the first known person buried in this cemetery. 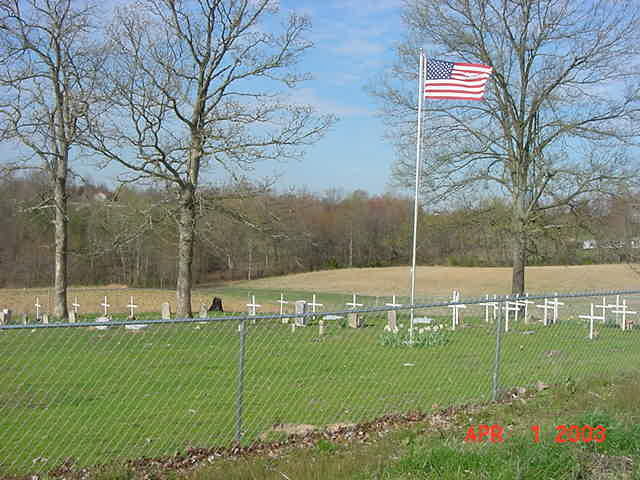 There 49 or 50 known burials in this cemetery. 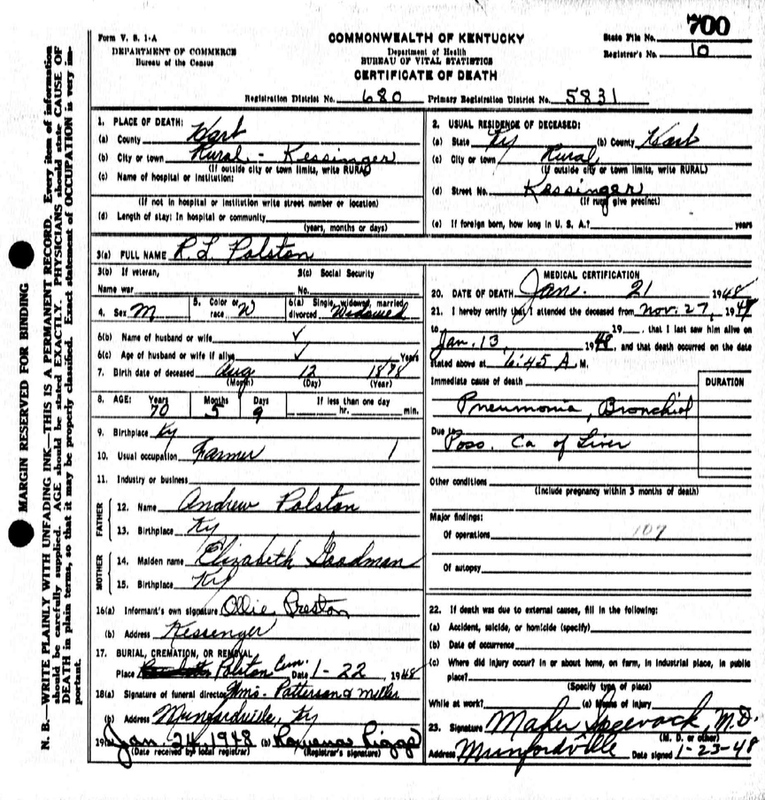 All information is provided by Edith Presley Bastin, a great-great-granddaughter of Stephen Goodman and Elizabeth Searcy Goodman. 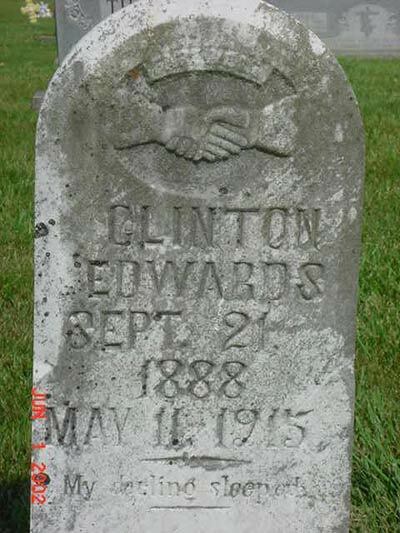 Link to Clinton Clero's stone in St. Benedicts Cemetery, Wax, Ky.
W/o Stephen Goodman. Lime Stone marker was weathered with age and unreadable. Grave site is at head of daughter Elizabeth Goodman Polston. 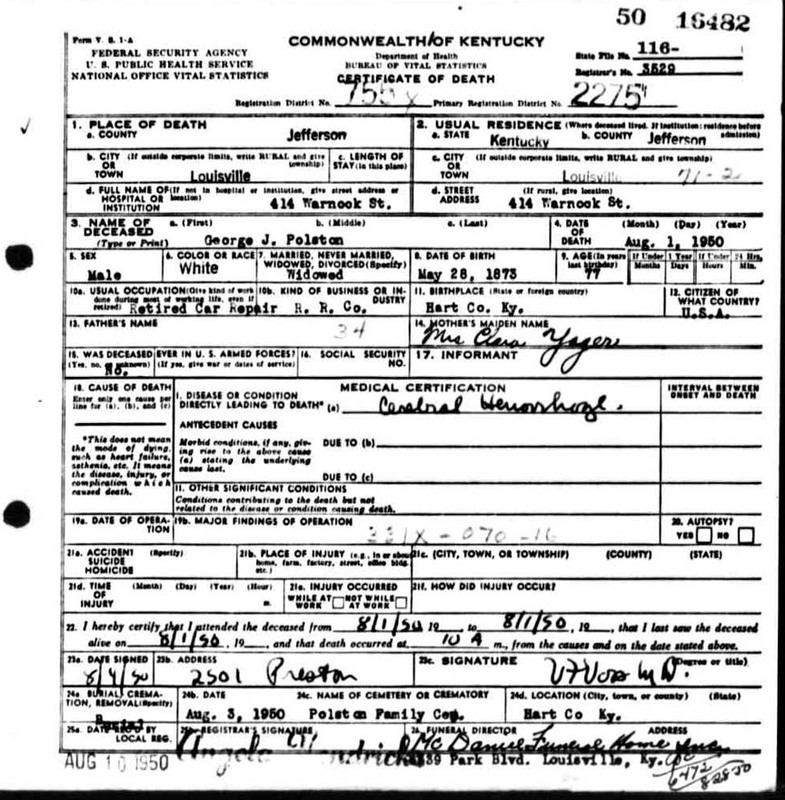 Source: Stephen Douglas Poston & Ollie May Poston Presley. A new tombstone was set in August 2002. Lime stone marker weathered with age and unreadable. Grave site is at head of daughter Elizabeth Goodman Polston. 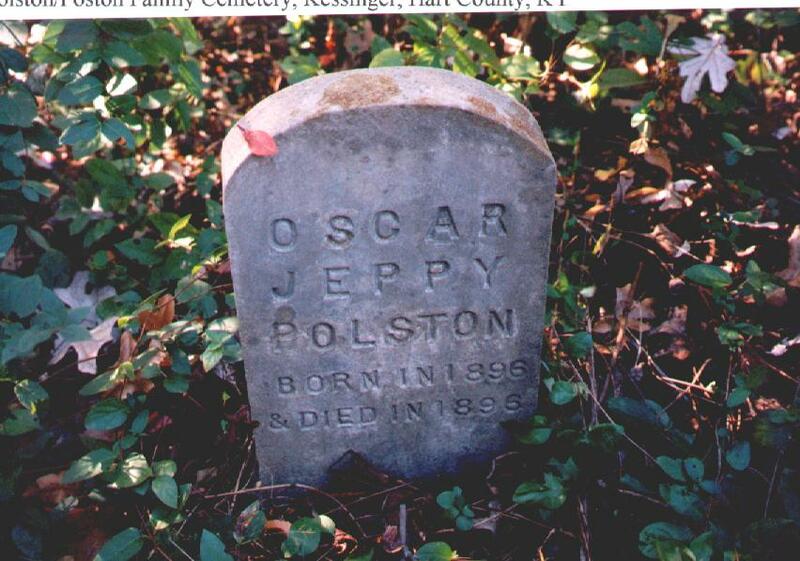 He was the first burial in this cemetery which was located on his farm. (Source: Stephen Douglas Poston & Ollie May Poston Presley. A new tombstone was set in August 2002. 5 fieldstones in Goodman Row. This section is marked with 5 Goodman tin markers. Sister to John Alex (or Elliex) Mathews who married Bonny Anna Edwards. 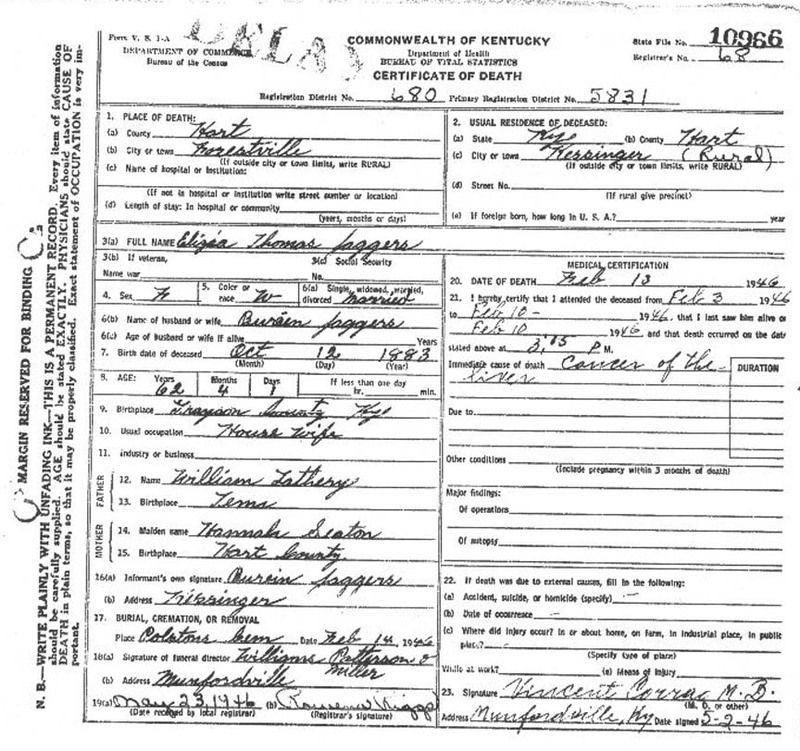 Bonny was sister to Martha Jane "Mattie" Edwards Poston. 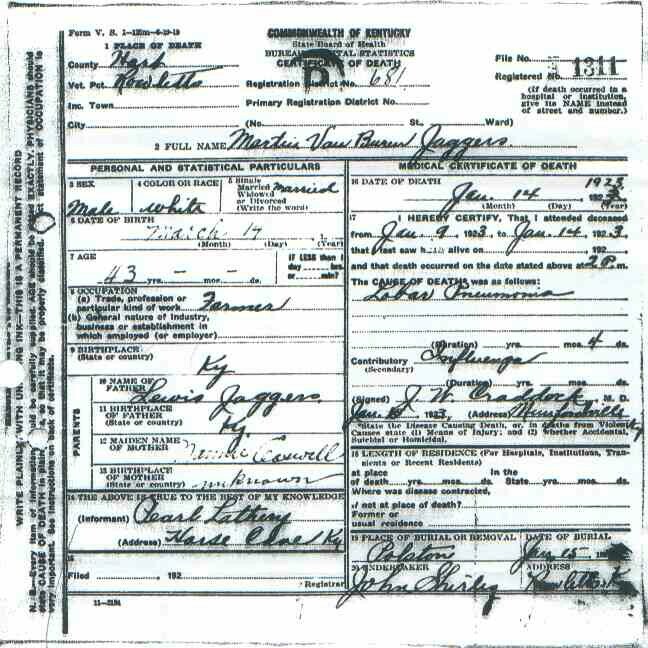 Harriett was d/o Isaac Mickel Mathews & Francis Elizabeth Ellen Logsdon who are buried in Center Point Baptist Church Cem on hwy 88. H/o Clara Belle Lothery. 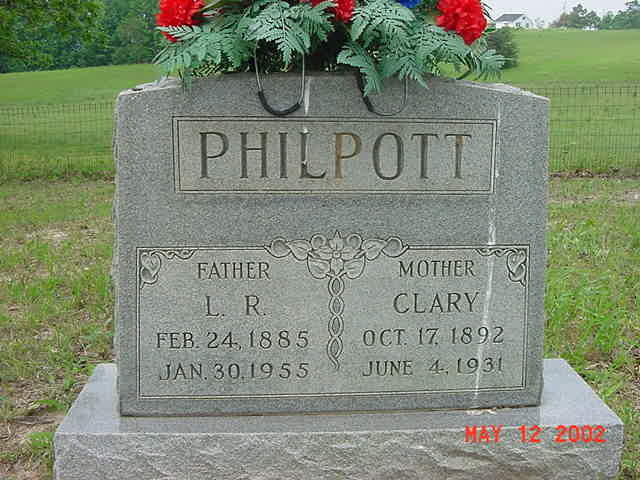 S/o Lewis W. Philpott & Elizabeth Atteberry. 7 field stones with no names and no dates are located to the left as one enters the gate. s/o Nancy & Andrew Polston. 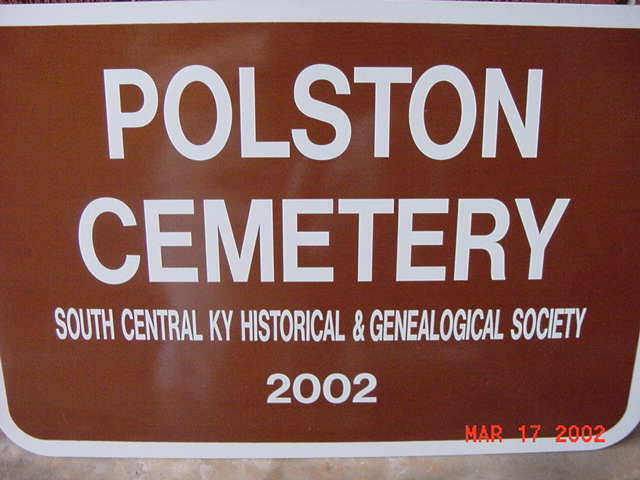 His son Andrew M. Polston is buried at foot of Andrew Polston. H/o Elizabeth Goodman & S/o Andrew Polston & Jane Milligan. 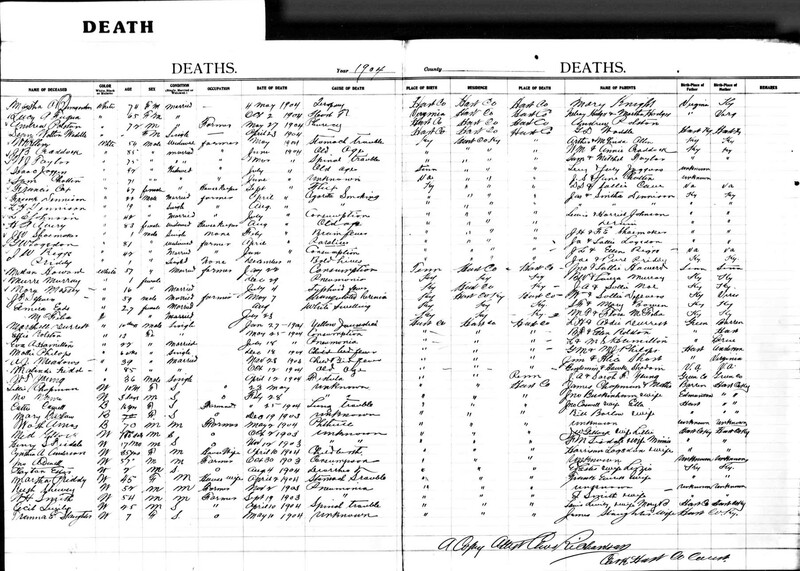 D/o Andrew M. Polston & Elizabeth Goodman. 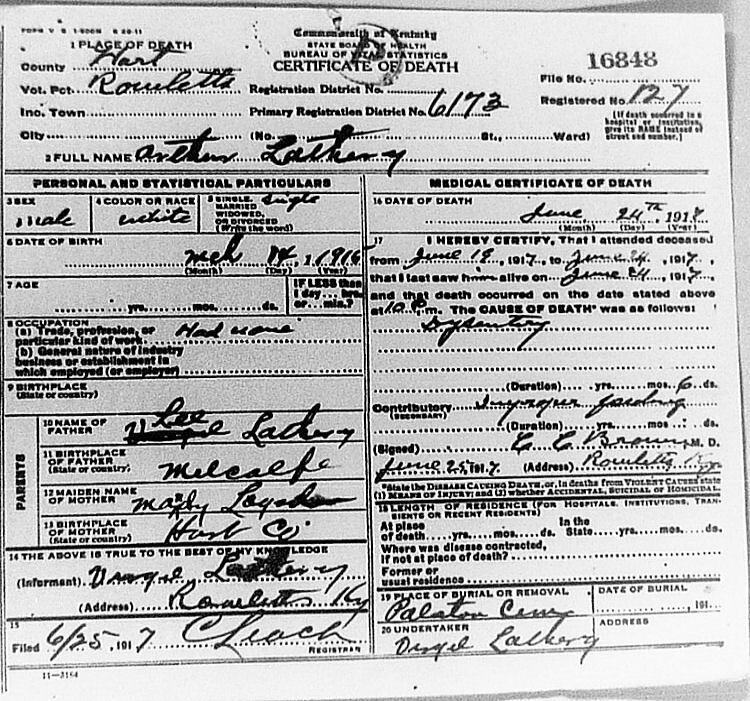 Died during childbirth. W/o Andrew M. Polston. D/o Stephen Goodman & Elizabeth Searcy. S/o Andrew Polston & Jane Milligan. H/o Margaret Ruth White. W/o Andrew Polston & M/o Andrew M. Polston & James David Polston. S/o Andrew M. Polston & Elizabeth Goodman. 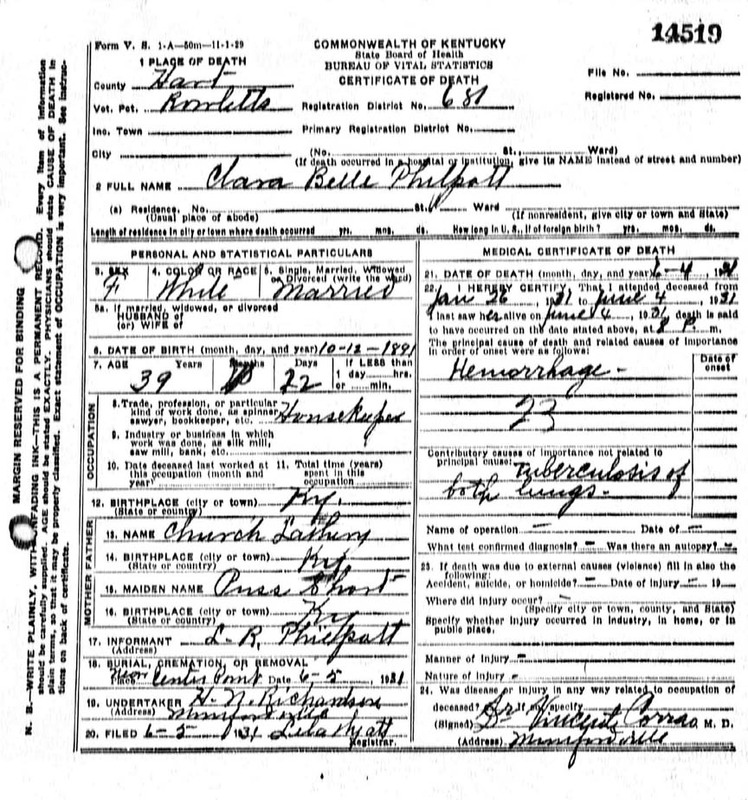 Bob never married - DC lists b. 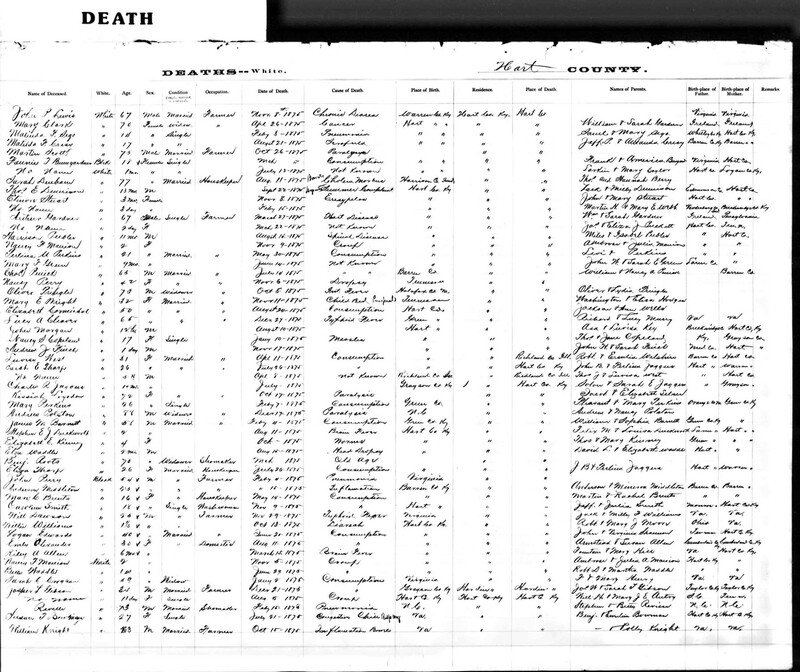 12 Aug 1878 and tombstone lists 12 Aug 1877. W/o Stephen Douglas Poston. 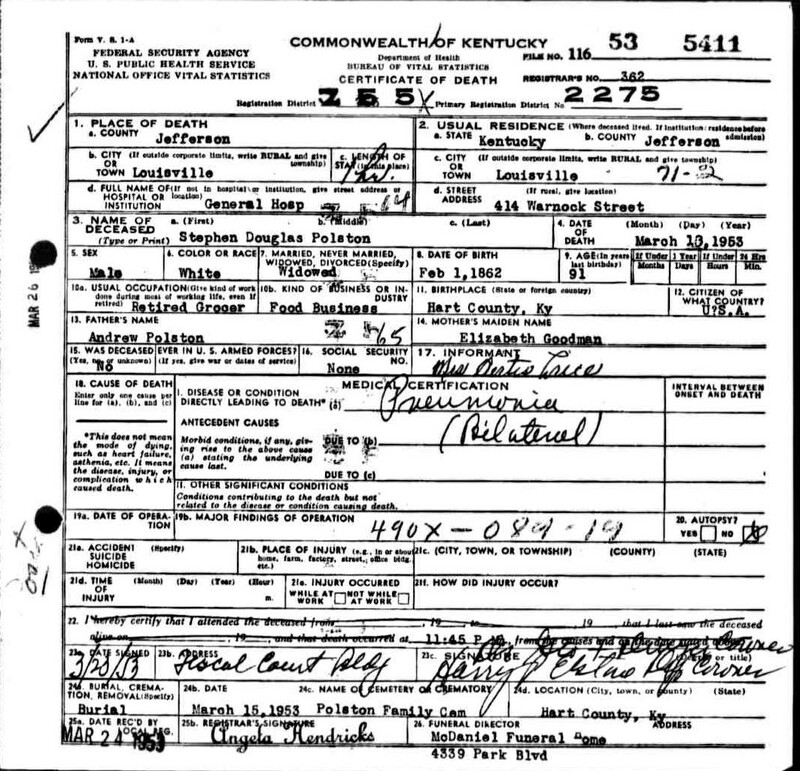 D/o William Asbury "Billy" Edwards & Nancy Josephine "Josie" Harrod. 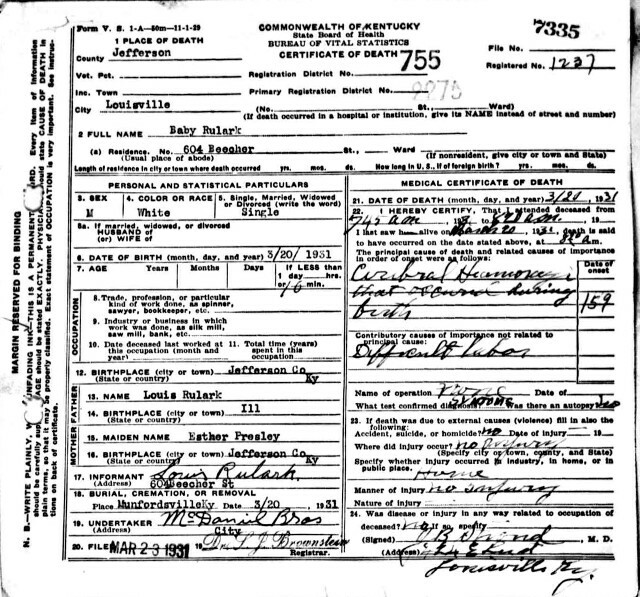 Stephen preferred omitting “L” in spelling of surname although but his parents and siblings left the “L” in the surname POLSTON. 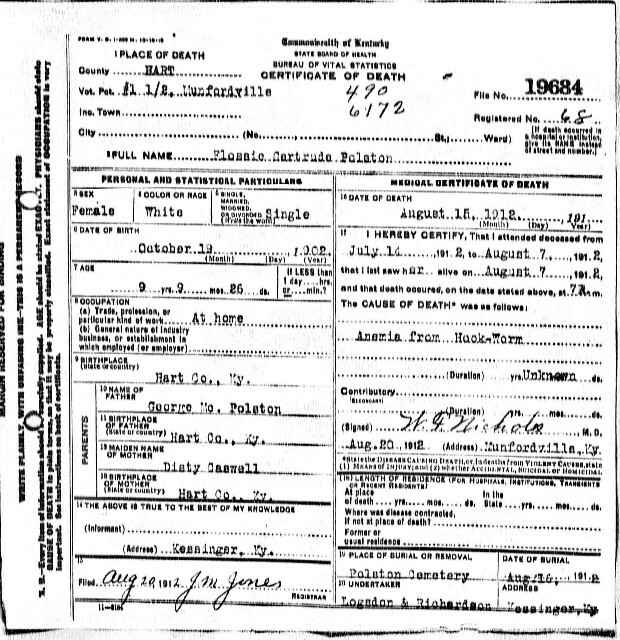 All his descendants used the spelling POSTON.